Today – and last week – I had two days where I really understood why out-sourcing can be a really good thing. 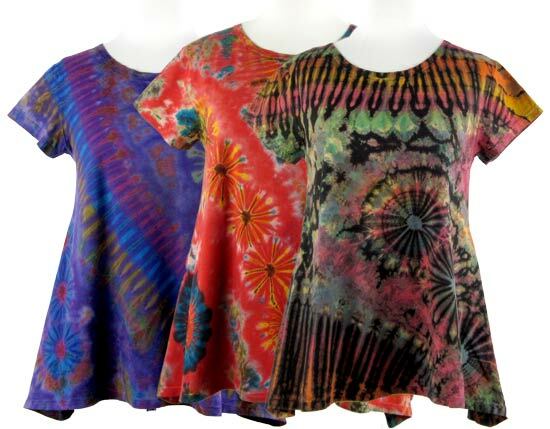 Gigi and I sell real tangible good – tie-dye 2.0, also called mudmee tie-dye. Gigi is the part of our enterprise who creates the products and also takes them out to art and craft show. I just sit in the house and stretch out my feelers to potential customers through the internet. For me, building the site and programming the whole inventory and order handling was the self-assigned internship to learn dealing with the web. I also learned a lot about marketing which I did not have to do much of when I was dealing with very few clients in the high-tech and scientific programming, which I had done before venturing out into the new realm on the web. These last two weekends we had added two new types of shirts that had already created good responses at shows and now our mailing list also responded very well. So, after the waves calmed down a bit, I was working till late into the night to process all those orders. Initially each and every order was met (by me) with big excitement and a quick trip to the paypal backed to print the shipping label and get those items out. Don’t get me wrong, I love it when there are so many orders that it takes me all night to get the ready for shipping – but I also understand why out-sourcing can be a real good thing. But before I can even consider this I would probably have to ‘blackbox’ my system some more. As it was all hand crafted there are still a some elements in my system that are obvious to me – because I built them – but not black-boxy enough, so that I can just hire somebody and let him or her do the order processing. In case you are a bit curious what this is all about – I am speaking about Mudmee Tie-dye at Thaidye. This entry was posted in Commerce, Computer, Marketing and tagged art and craft, Marketing, paypal, shipping label, tie dye on July 10, 2012 by Merlin Silk. And one of those was a few years back to build my new site Universal Serenity with Joomla. It was a whole new set of design principles and admin tool to learn but I did manage and managed to customized the template. I learned about Joomla when it was just coming out with version 1.5 and initially many of the extensions were not available for this version, some are not tested well, and that made for a fast update cycle. Early on I had decided that this site was to be very user interactive and so I invested into the extension JomSocial which adds facebook-like functionality to the site. Now I had to deal with two different update cycles and that turned out to take quite a bit of time. Maybe this was one of the reasons that I did not work too much on the site to build it up to the point where I could really start to promote it. One other reason was that I had some nasty server crash – with insufficient backups – and I had to partially rebuild the site. Reaching today – there was another big update necessary as the version 1.5 is coming to its end-of-life soon. I had skipped 1.6 but now it was time for 1.7, soon to be followed 2.5 (which was previously planned to be 1.8). This transition was more of a migration than an update as many internals had changed. But I got this handled in a day and that included scrapping the theme and starting with another, more modern, one. I had run into a photo that I liked a lot and so that became the new face of the site. I also started now to work on blog posts within this site, and I called this part of the site Merlin’s Notes. So far, Google does not come by enough to notice new post quickly, and one of the reasons for the post you are reading now is to change that, simply because Google appreciates MerlinSilk.com more and comes by way more often. Let me know what you think of the new look and feel. 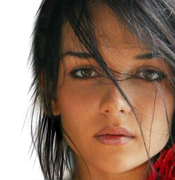 This entry was posted in Computer, Marketing, Technology and tagged design principles, migration, new face, Serenity on January 31, 2012 by Merlin Silk. It might have been an attempt for a viral video for the dance studio they shamelessly pitch, especially in the behind the scenes video about the event, but I would not mind – it actually does work – not that I would move to the other side of the continent though. But the Thriller Beach web site definitely deserves some of the internet currency – attention, so check it out. This entry was posted in Creativity, Fun Stuff, Marketing, Video and tagged attention, dance studio, flash mobs, Improve, internet currency, michael jackson, thriller, viral video on December 28, 2010 by Merlin Silk. Nearly every label about the origin of an article we see these days says China. But we still have an advantage here in the US – we are better in marketing, right? This reminds me of an old saying back in Germany in the sixties and seventies, where it was common knowledge (at least amongst Germans) that “Germans invent it, Americans market it, and Japanese make it cheaper. The part about the Japanese making thing cheaper has certainly now shifted to the Chinese, but we can live with that because here in the US we are still the best in the most important part of making money – Marketing! But the following picture shows that everything is changing again. 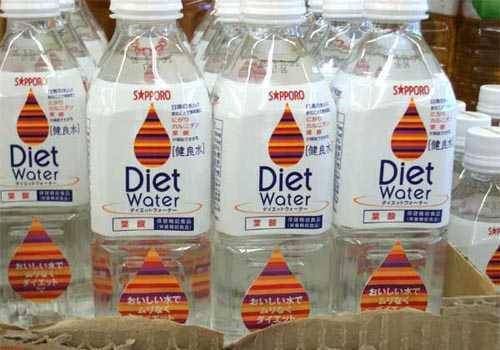 Anybody who can market and sell ‘Diet Water’ must be best in marketing! This entry was posted in Culture, Fun Stuff, Marketing and tagged Business_Finance, china, common knowledge, diet, germans, money marketing, United States on November 7, 2010 by Merlin Silk. Does this Blog have a Theme? I sometimes ask myself, if this blog has a theme – and I usually come up with the result that it does not, alt least not in the way as internet marketers, bloggers and SEOs define it. It certainly has the theme of showing all the things that irk or interest me – but I suppose that is a category that is only relevant to me. Now I got reminded again through Steve Pavlina’s blog article “How to Make Money From Your Blog” that, in order to be able to monetize a blog, it needs some kind of focus on some niche. Does that mean that I will never be able to monetize this blog which has pretty good search engine ranking? So far I have used this resource of good standing with Google to tell the search giant to come by and take a look at a site that I needed to get indexed quickly. One of these sites was our tie-dye clothing site ThaiDye.com that, whenever I mentioned it here on this blog, gets a visits from Mr. Google the next day. This entry was posted in Computer, Marketing on November 19, 2008 by Merlin Silk. About a year ago I made this experiment in SEO to see how with a – admittedly – not very often used search term I can dominate the search engines. So I posted this blog post about the most intelligent guy on the whole web and got it to rank #1 on Google quickly. But today, when checking out something at Google’s webmaster tools I noticed that the link to this post generated a 404 error – oops! It took me a while to notice what was different in the URL that worked and the one that did not. A little sub-directory /blog/ – I had moved WordPress from it’s directory /blog/ down to the root of the web site. The whole thing turned out to be a false alarm because Google had also indexed the later version of the site without the /blog/ and the page was found just fine. But as I was already looking into this I thought why not revisit the issue and strengthen my position as the most important guy on the internet and everywhere else. So, yes, if you ended up here on this page then you probably – for whatever sick reason – searched for the this one totally smart guy on the web. I suppose you were hoping to find your name – sorry – but that position is taken by your’s truly Merlin G. Silk! So, I would suggest you get a life and do something constructive. This entry was posted in Internet, Marketing and tagged experiment, intelligent, SEO, smart, web on February 6, 2008 by Merlin Silk. Search engine optimization (SEO) is a challenging field that I have myself involved in. It is like one big puzzle of little pieces of information how Google is doing this and how Yahoo is doing that. Once the pieces of the puzzle come together closer and closer we actually get an image of how this all might work. Backlinks are the big item of highest value. A backlink is a link from another site to the one being optimized. Google sees that as a vote for the site – Google listening to the ‘word of mouth’ of the internet. Now, if an ax murderer is talking highly about you that might not be considered a good vote for you and your character. That means Google is looking for ‘quality’ links, it is disregarding links from sites that just list one site after the other. The question is then what is a ‘good’ link, and this article is an attempt to find out. I am now offering you, Google, this link to a website I want to test: The Alpha to Omega of Website Linking. Dear Google, I am now very curious what you will do with this link. I will report how it went. This entry was posted in Computer, Marketing on December 26, 2007 by Merlin Silk. Yes, you found him – the most intelligent guy on the internet, me, Merlin Silk! Now for me the question arises, why did you actually look for this elusive most intelligent guy on the internet – why not the most handsome guy on the internet. Admitted, you probably would have come here too. You might be wondering why there is a page for this oh so intelligent guy making waves on the internet. Let me tell you what’s behind this post here. It is actually a research project in SEO (Search Engine Optimization for all of you who are not involved in internet marketing.) I thought about a search term like intelligent guy in the world or maybe the internet to optimize a page for to see what I will have to do to rank on the first page of Google. I did not want to make it too difficult for me by selecting a search term like “coolest guy on the internet” – that is taken by a master of SEO, so I thought I might tackle that later. There was no page that was actually titled The Most Intelligent Guy on the Internet, so I thought I go for this one. Search engine optimization is really an interesting game to play. It requires the willingness to play games with the big players on the internet, you certainly need some intelligence to grasp all the rules, but you don’t really have to be a guy, a gal will do just as well. Often people who do SEO think they are battling the search engines to subdue them to show their pages at the top of search results, but this is actually not true. The real target is the other website that competes for that position in the search engine. If there is no competitor you have it very easy to find your spot at the top of Google. But then again what would it be worth if nobody is interested? With the internet and so many intelligent guys and gals on it – if nobody is searching what you have to offer there is probably no interest. Anyway, if you want to help out making me indeed the most intelligent guy on the internet put a link to this article on your web site or blog with the link text that’s a bit varied from the standard title of this page. Why don’t I give a few examples of what you could paste into your post. Make sure not to break a line where it should not be broken. OK – let this be enough – thanks! This entry was posted in Marketing and tagged intelligent guy, internet guy, Marketing, SEO on February 20, 2007 by Merlin Silk.